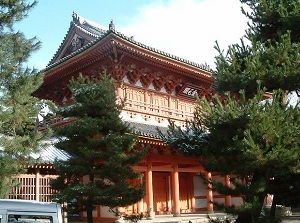 Daitokuji is a Buddhist temple, and is located at the north part of central Kyoto city. Kinkakuji temple is located about 2 km west of this temple, and Kyoto Imperial Palace is located about 3 km southeast of this one. 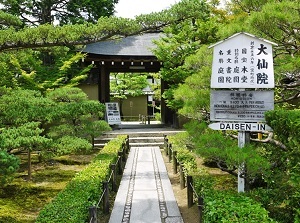 Daitokuji is the central temple of a sect of Rinzei school, one of the three Japanese Zen Buddhism. 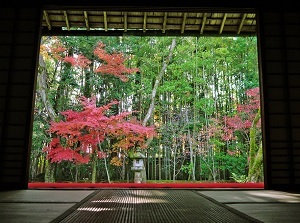 It was founded in 1325, and Emperor Godaigo declared that he ranked this temple as one of Kyoto's five high-class temples in 1334. But after political change, the rank of this temple had been substantially downgraded. Then this temple departed from the protection of Emperor and the government, and had been committed to practice Zen sitting meditation. Since that, this temple had created many excellent priests, and attracted a wide range of people. 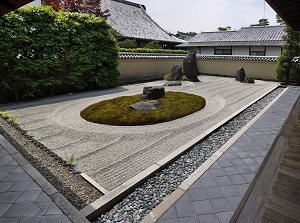 Especially some masters of tea ceremony joined the Zen practice, so this temple has been deeply related to tea ceremony. Most of tea ceremony utensils that are designated as national treasures are housed in this temple. 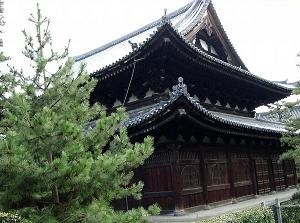 The main buildings of Daitokuji are Chokushimon gate, Sanmon gate, Karamon gate, Butsuden temple, Hattou hall and Houjou hall. Karamon and Houjou are designated as national treasures, but we are not allowed to visit Houjou. 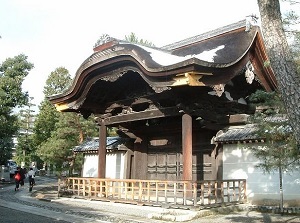 In the precincts, there are 24 small temples around central buildings of Daitikuji. They were built by the dispular priests after their master priests' death. Daitokuji includes the temples, and is like a temple town. They are Ryogen-in, Zuihou-in, Daisen-in and Koutou-in. 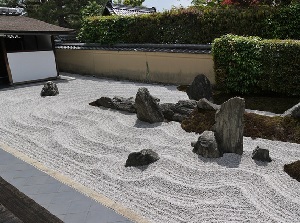 They have beautiful Japanese garden. Get off at Kita-oji station on Karasuma Line of subway. Get on the route bus with route No. 1, 204, 205, 206, 101, 102 from there. About 8 minutes to Daitokuji-mae stop.